Serious, restrictive, non-fatal injuries are commonplace in large animal agriculture, including in pork and dairy production. 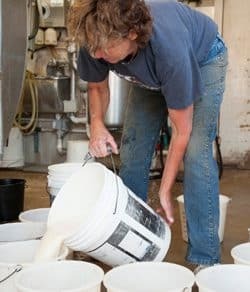 The cost of workplace injuries in dairy production is unknown, but given the frequency of injury among workers in dairy, it is certainly a burden to the industry. Clinicians in the primary care setting increasingly are the front line for treating occupational injuries and responsible for managing workers’ return to work. Primary care clinicians are often poorly equipped to mangage and treat occupational injuries and illness and have few resources to facilitate workers’ return to work. 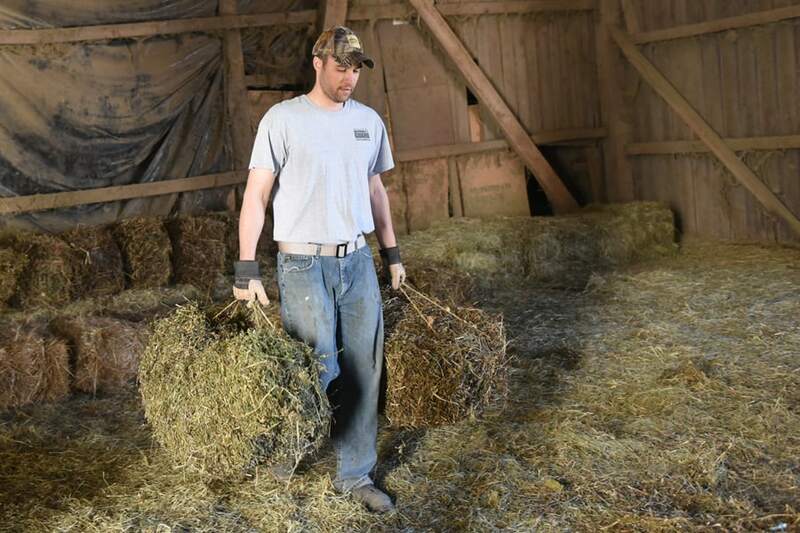 The Return to Work project will create a mechanism to bring the realities of work on the farm to the clinic in a way that the clinician can review, understand and develop a transitional plan that will safely and promptly return the worker to the workplace. Develop a collection of tasks in dairy and pork. Convert and integrate Physical and Occupational Therapists’ unstructured narrative data into structured data. 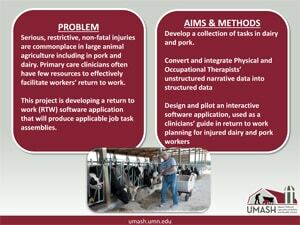 Design and pilot an interactive software application, used as a clinicians’ guide in return to work planning for injured dairy and pork workers. 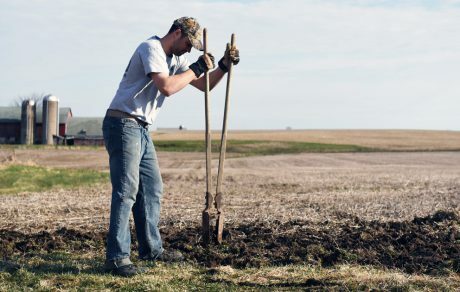 The Return to Work project was designed to develop a computer application that would assist treating physicians in safely returning injured agricultural workers to their place of employment when they are not yet fully recovered but still capable of doing some productive tasks. The project team continues make great strides in the development of this application. Farm task data collection is continuing through the end of Year 4. 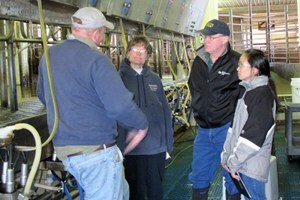 We have now visited 32 farms across Wisconsin and Minnesota. We have moved all data from the physical and occupational therapists’ notes to Microsoft word format, then into a RedCap system. This system will house all farm task data that has been collected by therapists. We have loaded approximately 90% of the task data into a structured format, via RedCap. Select pieces of that data, critical to the Return-to-Work algorithm, are currently being loaded into the application database. 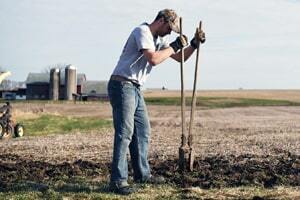 Thousands of farm task photos have also been captured over the past grant year. These photos will be loaded into a SharePoint photo library and indexed for optimal search. The photos are also linked to specific tasks. Within the software application, they are used as educational tools to facilitate communication between the clinician and the patient. Primary application development is still underway. 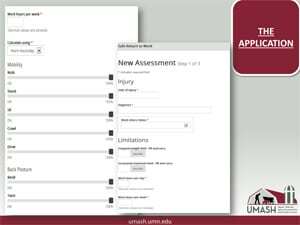 The mobile-friendly, web application is functional and will be undergoing usability testing with clinicians, residents, and other users throughout the first quarter of year 5. Empowering clinicians to provide injured workers in dairy and pork production with an effective and adaptive return to work program, which takes into account the limitations of the injured worker and the needs of the work place. The Return to Work project team has launched a new website as a tool for farmers and clinicians to improve the Return-to-Work process for injured/ill workers. The system provides an interactive user interface that produces recommended light duty return to work job assemblies (LDJA). The website features the assessment tool, as well as materials and guidance on workers’ compensation and the return-to-work process. Reyes IA, Bellendorf N, Meehan T, Wenger R, Kadolph C, Halstead S, Mahnke A, Weichelt B, Ray W, Keifer M. Facilitating Return to Work for Injured and Ill Animal Agriculture Workers. 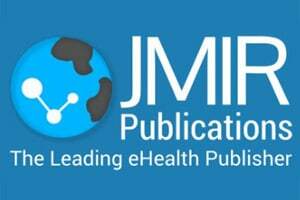 Journal of Agromedicine. Wisconsin. June 9, 2014. Reyes I. Facilitating Return to Work for Injured and Ill Animal Agriculture Workers. 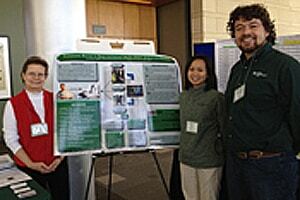 Midwest Regional Agricultural Safety and health Conference (MRASH). Cedar Rapids, IA. November 15, 2012. Reyes I. Facilitating Return to Work for Injured and Ill Animal Agriculture Workers. UMASH Annual Forum. Saint Paul, MN. April 17, 2013. Reyes I, Guerrero-Silva F, Keifer MC. 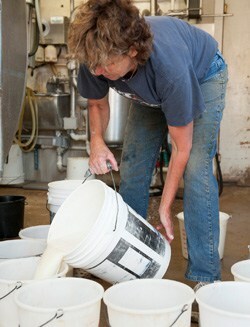 Facilitating Return to Work for Injured and Ill Animal Agriculture Workers. UMASH Annual Forum. Saint Paul, MN. April 17, 2013. Keifer MC. Ag Related Ailments: The Doctor Is In. Genius Bar, North American Agricultural Safety Summit. Minneapolis, MN. September 25, 2013. Reyes I. Facilitating Return to Work for Injured and Ill Animal Agriculture Workers. 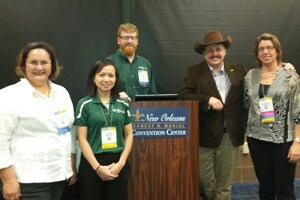 North American Agricultural Safety Summit. Minneapolis, MN. September 25, 2013. Reyes IA, Mahnke A, Weichelt B, Ray W, Keifer M. Facilitating Return to Work for Injured and Ill Animal Agriculture Workers. National Occupational Research Agenda. Minneapolis, MN. May 1, 2014. 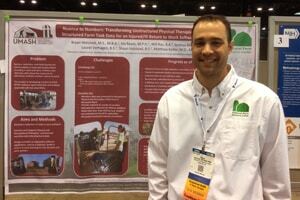 Keifer M. Facilitating the return-to-work of injured and ill farm workers: An online decoder for clinicians. Boldt Meeting. Appleton, WI. September 26, 2014. Reyes IA, Mahnke A, Weichelt B, Ray W, Keifer M. A computer application for clinicians to facilitate the return-to-work of injured agricultural workers. Safety and Health in Agricultural and Rural Populations. Saskatoon, SK, Canada. October 19-22, 2014. Reyes IA, Mahnke A, Weichelt B, Ray W, Keifer M. Facilitating the return-to-work of injured and ill farm workers: An online decoder for clinicians:. American Public Health Association 142nd Annual Meeting and Exposition. New Orleans, LA. November 15-19, 2014. 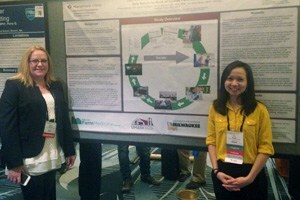 Weichelt B, Reyes IA, Ray W, Mahnke A, Verhagen L, Halstead S and Keifer M. Nuance to Numbers: Transforming Unstructured Physical Therapist Field Data to Structured Farm Task Data for an Injured/Ill Return to Work Software Application. UMASH Annual Forum. St Paul, MN. October 30, 2015. 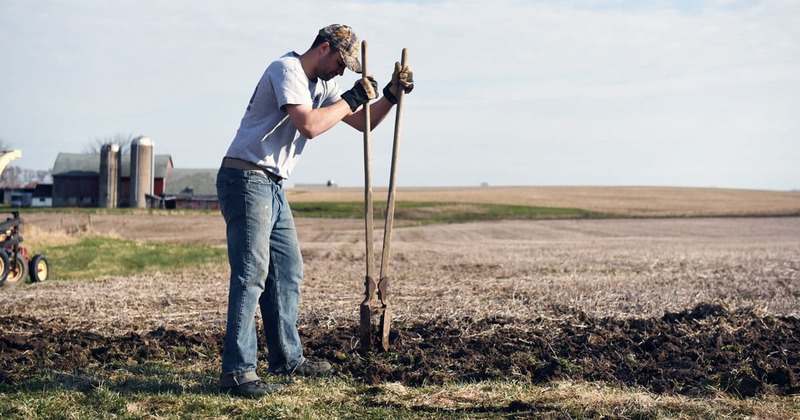 Weichelt B, Reyes IA, Ray W, Mahnke A, Verhagen L, Halstead S and Keifer M. Nuance to Numbers: Transforming Unstructured Physical Therapist Field Data to Structured Farm Task Data for an Injured/Ill Return to Work Software Application. Chicago, IL. November 3, 2015. Mahnke, A, Verhagen L, Weichelt B, Reyes IA, Ray W, Halstead S and Keifer M. User-Centered Design of an Application to Aid in the Safe Return to Work of Injured Farm Workers. San Francisco, CA. November 16, 2015. Weichelt B, Reyes IA, Mahnke A, Ray W, Verhagen L, Halstead S and Keifer M. A Not So Lame Outlook for Injured Farm Workers: Return to Work Software Application Development. AMIA conference. San Francisco, CA. November 16, 2015.